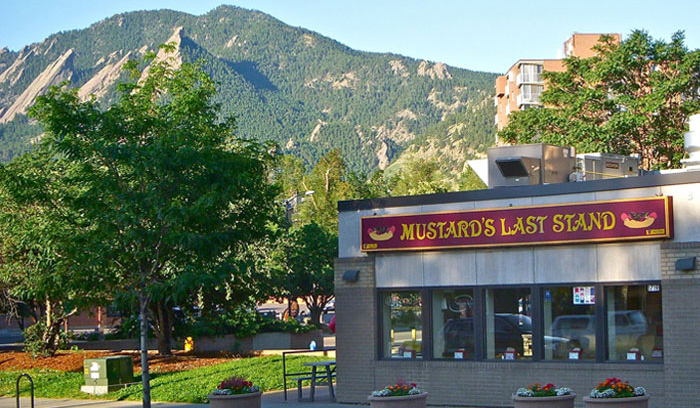 Our Boulder location is located at the corner of Arapahoe Avenue and Broadway Street. We’re centrally located between The Hill and downtown, right on the Boulder Creek Path. We’re so close to everything that you can walk or ride your bike from anywhere in the city and be here within a few minutes. We’re also on several bus lines, if that’s more your style. After enjoying your dog, check out what the rest of the downtown area has to offer—take a stroll down Pearl Street Mall for some shopping or people watching. If the weather’s nice, ask for a blanket to use for the day and enjoy your dogs by the creek while with friends.